The Press Gazette has published an extract from Headlines from the Holy Land. It is adapted from Chapter 7 ‘Social Media: A Real Battleground’. Since the Arab uprisings of early 2011, social media have played an increasing role in the politics and conflict of the wider Middle East. That has been especially true in the Israeli-Palestinian conflict. This is how the journalism of the Israeli-Palestinian conflict has evolved: while eyewitness reporting remains of paramount importance, it is no longer sufficient just to be in one place. With social media, and Twitter in particular, you have simultaneously to keep an eye on what is going on elsewhere too. Social media had been a part of the Israeli-Palestinian conflict since it came into being. Following Operation “Cast Lead” – an Israeli military campaign in Gaza in late 2008 and early 2009 – there were reports that both the Israeli Army and Hamas’ military wing had warned those in their ranks against using social media for what doing so might give away to the enemy. You can read the full extract here. You can also read the introduction, and part of Chapter 1, on the publisher’s website, here. 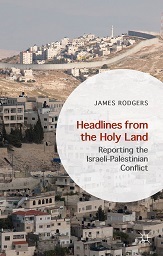 My new book, Headlines from the Holy Land: reporting the Israeli-Palestinian conflict, has now been published by Palgrave MacMillan. You can find more about it, and read the introduction and the first chapter, on the publisher’s website. You can also order copies there, or from Amazon. There will be a launch event in London next month, and I will publish details of that here. At a time when reporting on the Israeli-Palestinian conflict is under unprecedented scrutiny, James Rodgers provides an essential and insightful historical perspective on the long “war of words” behind a major conflict of our time. Rodgers’ book is essential reading for those seeking a greater understanding of the difficult dynamics behind reporting – and resolving conflicts. Headlines from The Holy Land is an impressively, innovative form of history as media history, looking at one of the most complex stories of our age through the imperfect, shifting but revelatory perspectives of the many journalists who covered this often compelling tale as it unfolded, from its 1946 roots through the various wars and propaganda battles fought in the streets of Gaza or the networks of social media. James Rodgers is an insightful, empathetic and rigorous guide to how journalism struggled – often heroically – to tell one of the most brutal and difficult of international stories. James Rodgers is honestly direct about the challenges and pressures that makes reporting on the Israeli-Palestinian conflict unique amongst the myriad of crises faced by international journalists; something he was uniquely placed to do as the only western correspondent based in the Gaza Strip in the tumultuous years immediately after 9/11. But what makes this book so refreshing and incisive is that this account of reporting on this most intractable yet consequential conflict is the work of someone with the benefit of having been an experienced foreign correspondent but who is now writes with the rigour of an academic’s eye on how our world is reported. In doing so, Rodgers leaves very few stones unturned, from the war over terminology and language, to the increasing role of religion in a crisis centred on the a small area brimful of contested holy sites and he is framed it in a way that has context, careful analysis and is accessible to all those who either want to understand how this war which continues to have a major international impact is reported and to those who want to report it themselves. Reporting on the Israeli-Palestinian conflict often generates as much controversy as the issue itself. James Rodger’s book is rare for approaching the subject of how the story has been told by Western journalists over the decades, with an open mind & an academic rigour. It combines detailed research and candid insights from many of the region’s seasoned correspondents with an accessible style that keep the pages turning. With so many thoroughly biased self-appointed media watch dogs out there it’s refreshing to read something that genuinely attempts to tackle the job of reporting on the Israeli-Palestinian conflict with intelligent thoughtfulness. 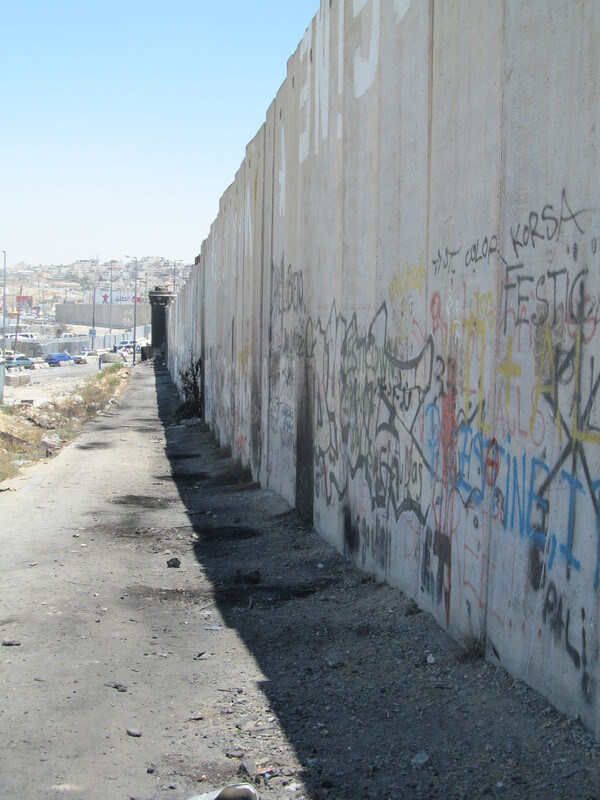 The conflict between Israelis and Palestinians has been more intensively covered by the media, and for a longer period, than any other in recent times. In this fascinating book, James Rodgers tells us the story of the story. He shows how, as the struggle came to be as much about meaning, language, and perception as about bullets, bombs, or negotiations, reporters were under constant pressure from two sides seeking to control the narrative to their own advantage. He shows, too, how they brought their own prejudices and national viewpoints to the story, and how, nevertheless, good reporting did emerge and was, as it remains, vital in sustaining what informed public opinion there is on the dire state of affairs in the Holy Land of the title. I have finished the manuscript for my next book, Headlines from the Holy Land. The book is due to be published later this year by Palgrave Macmillan. I will post details here once they become available. In the meantime, I was a guest this weekend on the BBC World Service’s Weekend programme. I discussed — among many other things — Russia, the Middle East, and even how Pacific oysters got to the North Sea. You can listen here http://www.bbc.co.uk/programmes/p02l1yz9 . THEY DUG THROUGH TONS OF RUBBLE to try to save those lying beneath. Their efforts were often in vain. The trapped casualties were already dead. This could have been Gaza in the summer of 2014. It could also have been Jerusalem in the summer of 1946, when an armed Jewish group fighting to drive the British out of Palestine bombed the King David hotel, then the headquarters of the British administration. In both cases, journalists from across the world were there to try to tell the story of what was happening: a story which for decades has fascinated, and often horrified, reporters, editors, and audiences. I am currently finishing my next book, Headlines from the Holy Land. It is due to be published later this year by Palgrave Macmillan, publishers of my first book, Reporting Conflict. The book tells the story of the way that the Israeli-Palestinian conflict has been covered from the 1940s until now. The early chapters draw on extensive archive research; the later ones on interviews with more than twenty journalists and diplomats in the Middle East, Britain, and the United States. I also draw on my own experience of being based in Gaza for the BBC from 2002 to 2004. 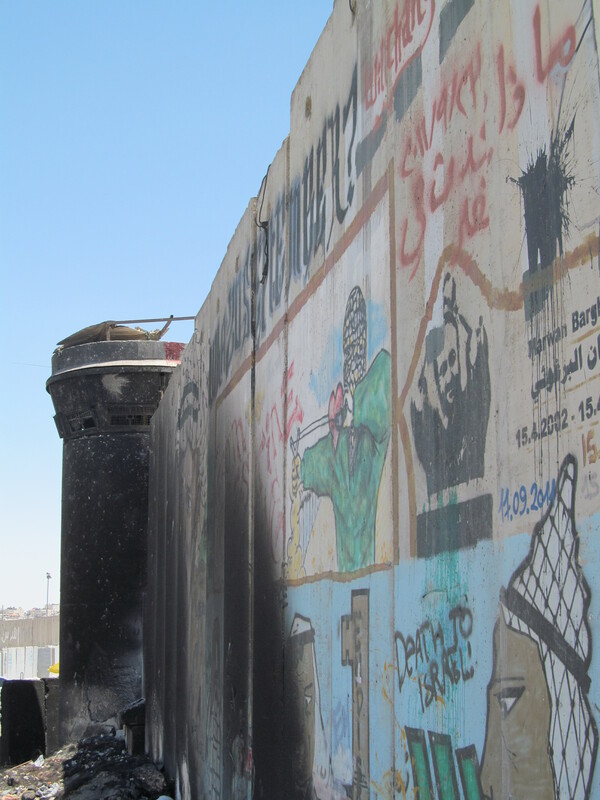 Since then, I have returned regularly to the region, including making two trips to Jerusalem and the West Bank in the last 12 months to gather material for the book. Headlines from the Holy Land explores the relationship between journalists and diplomats: who knows more about what is going on? Why has the Israeli-Palestinian conflict attracted so much airtime and diplomatic effort? In conclusion, the book analyses how the conflict is evolving, and how both journalism and diplomacy need to respond. I will post some more details of the book between now and publication. In the meantime, I look forward to the chance to discuss some of my work with the Journalism students at City University London who will be taking my ‘Reporting Conflict’ module this term.